Arsenal will look to boost their hopes of returning to the race to finish in the Premier League's top four by beating struggling Middlesbrough on Monday night. Boro remain in major trouble despite replacing Aitor Karanka with interim manager Steve Agnew, with Hull City six points clear of their relegation rivals in 17th place. A game in hand will give Agnew some hope but he will need to coax wins, and not just draws, out of his side quickly if they are to mount an unlikely bid for survival. In the UK, the match will be available to watch live on television on Sky Sports 1 and for free on Sky Sports Mix. It can also be streamed via Sky Go. Agnew could be tempted to stick with the 3-5-2 formation he used in the 0-0 draw with Burnley. Calum Chambers is back in training but ineligible to play against his parent club, and George Friend and James Husband are doubtful. Fabio and Gaston Ramirez, however, have recovered sufficiently to be in contention for a place in the squad. Potential starting XI: Valdes; Ayala, Bernardo, Gibson; Barragan, Clayton, Leadbitter, Forshaw, Downing; Stuani, Gestede. Arsenal are still waiting to find out if Petr Cech and Laurent Koscielny will be fit enough to make their returns to the starting lineup. Gabriel and Emiliano Martinez are likely to continue if not. David Ospina, Lucas Perez and Santi Cazorla remain sidelined. Potential starting XI: Cech; Bellerin, Mustafi, Koscielny, Monreal; Elneny, Xhaka; Walcott, Ozil, Alexis; Giroud. 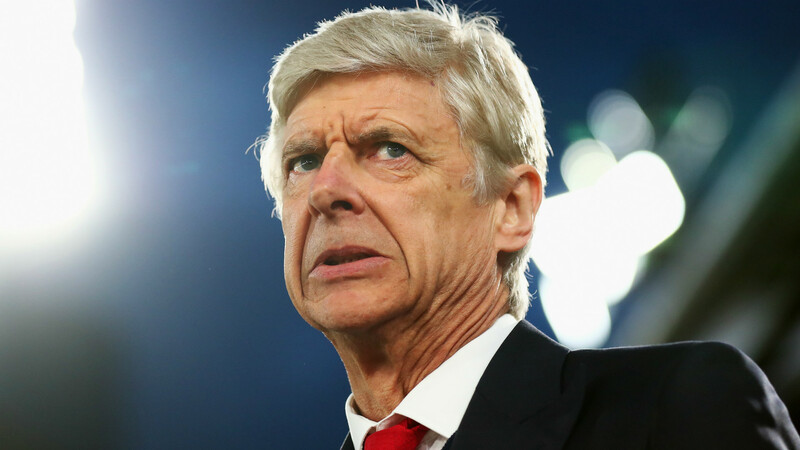 Arsenal are odds-on favourites to record a much-needed win at about 4/7, according to Oddschecker. The draw is best priced at 17/5 and Middlesbrough can be backed at 11/2. Alexis Sanchez is the favourite to score first at 7/2, with Olivier Giroud following at 4/1. Alvaro Negredo comes in first for Boro at 9/1. 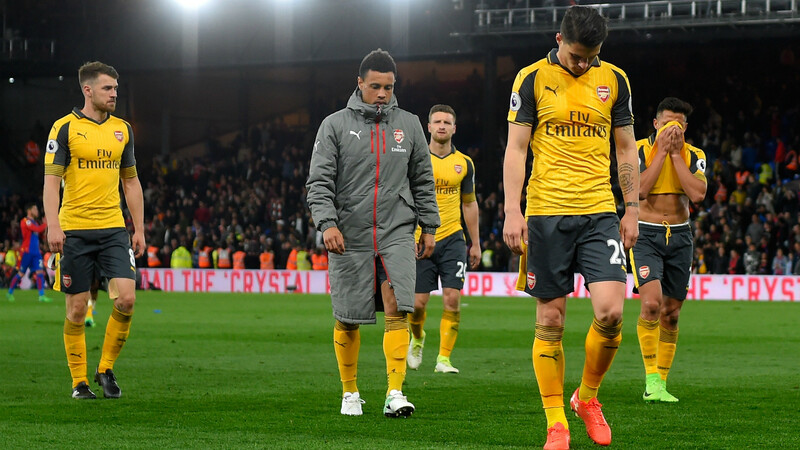 It seemed difficult to imagine Arsenal sinking any lower after their humiliation at the hands of Bayern Munich and fall out of the Premier League's top four, but against Crystal Palace they managed it. At most other clubs in the world, it would be the final straw; something, whether it be the manager, the players or even further up the hierarchy, would have to change. But Arsenal, at least until the end of the campaign, go on. "They just wanted it more," Theo Walcott startlingly admitted afterwards. "You could tell. You could sense that from the kick off. It was an uphill battle towards the end there. Like I said before, this isn’t Arsenal at this moment in time." The problem is that despite Walcott's insistence, this is exactly what people have come to expect of Arsenal. There is no consistency, little ability to to overcome adversity and too many players who are surviving on reputations rather than performances. It has not been an especially enjoyable year for Middlesbrough fans, either. They looked like they might be solid enough to put up a fight for survival for a while, but now only Sunderland can look upon relegation as more of a certainty. Damaging to their hopes has been the absence of their Arsenal loanee Calum Chambers for the past two months. 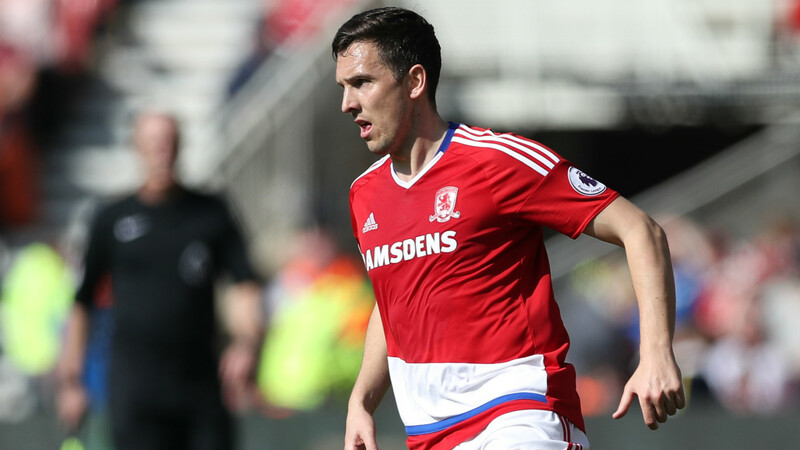 Boro have not won since the defender suffered a foot injury and though he is now fit, he will be unavailable against his parent club.